Hero MotoCorp surprised everyone by announcing that it is entering the world of off-road motorcycle racing today. It has entered into a strategic partnership with Speedbrain GmbH, a German off-road racing specialist. The new Hero MotoSports Team Rally will make its debut at the Merzouga Rally in Morocco later this month. 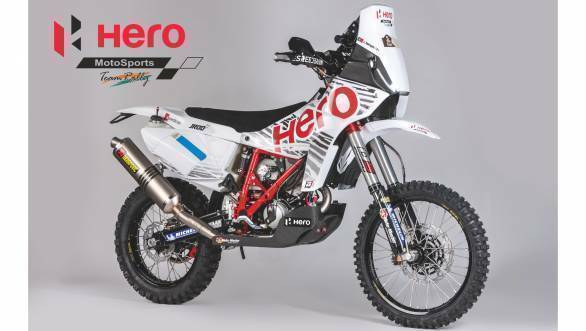 Hero MotoSports Team Rally will ride the Speedbrain 450 rally motorcycle at Merzouga and this bike will continue to power this team in various rallies leading up to the 2017 Dakar. Riding the motorcycles for Hero MotoSports Team Rally - and this is truly special - will be Indian riders. 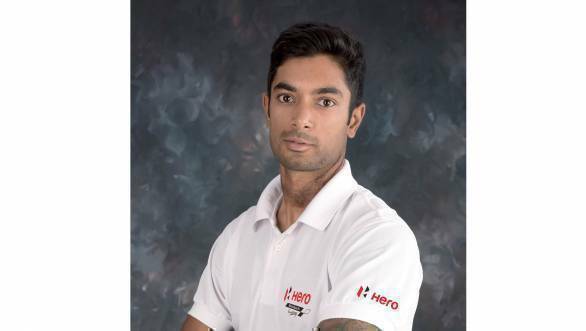 Hero MotoSports has announced that CS Santosh will ride for the team. As you know, TVS also has a tie-up with Sherco to run the latter's motorcycles in the Dakar but TVS Racing has so far not made any moves towards fielding Indian riders. So far, the latest rumours say that Aravind KP, TVS' star rider might be on a TVS-Sherco at the 2017 Dakar but that's all it is at this time, a rumour. Back to Hero, CS Santosh's team-mate will be Portuguese rider Joaquim 'J-Rod' Rodrigues a supercross and motocross veteran who's new to the Rally Raid arena. Wolfgang Fischer, Md, Speedbrain will run the team. 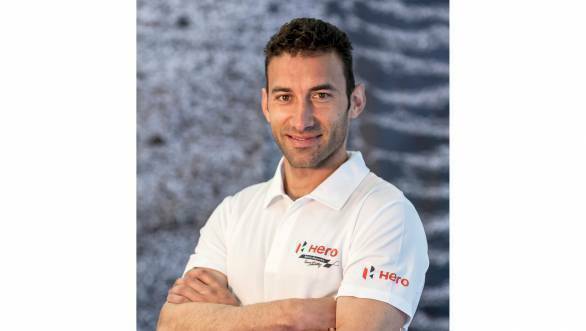 At Hero, Markus Braunsperger, the chief technology officer of Hero MotoCorp will be in charge and Hero's new R&D, the Centre for Innovation and Technology will be closely involved. Pawan Munjal, MD and CEO Hero MotoCorp said, "This initiative reflects our consistent support to sports and sportspersons."